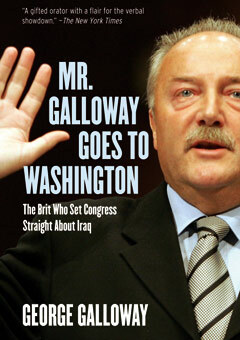 In late spring of 2005, George Galloway, a newly elected member of British Parliament, came to Washington, D.C., to appear before a Senate subcommittee that claimed—without ever talking to him—that he had enriched himself through the scandal-plagued Iraq oil-for-food program. What happened next was a rare political moment: to the surprise of the assembled senators, congressional aides, and press, Galloway turned the tables on his accusers, calling attention to the dishonesty and hypocrisy that led to the war in Iraq. This is the story of Galloway’s relationship with Saddam Hussein (including details of their private meetings) and of his remarkable visit to Washington in which he dared to set the record straight—not just his own record but also that of the U.S. government. Filled with the passion and wit that are Galloway trademarks, the book includes the complete transcript of the famed Senate testimony and is packed with facts about the United States’ ignominious history in Iraq—facts that are easy to forget but crucial to remember.